Unlike 50 years ago, we now know the things we need to do to prevent addiction to tobacco, and to help adults quit smoking. Thus, most of the tobacco-induced illnesses and deaths could be avoided, if we as a nation chose to make that happen. Because tobacco-induced illnesses and deaths almost always strike people in the prime of life, their negative economic impact on the nation is huge, due to lost productivity and extraordinary health care costs. 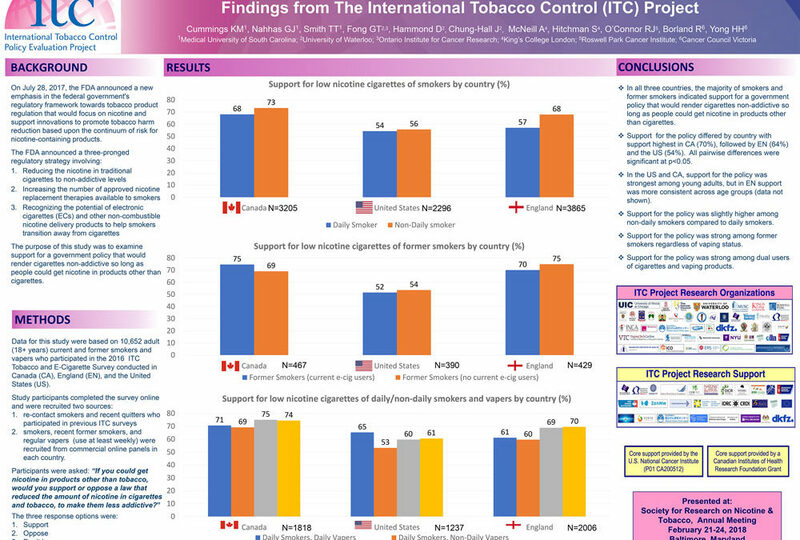 If the United States is to be competitive in the global marketplace in the future, and eventually become the healthiest nation, then tobacco control must become the top public health priority for the nation. 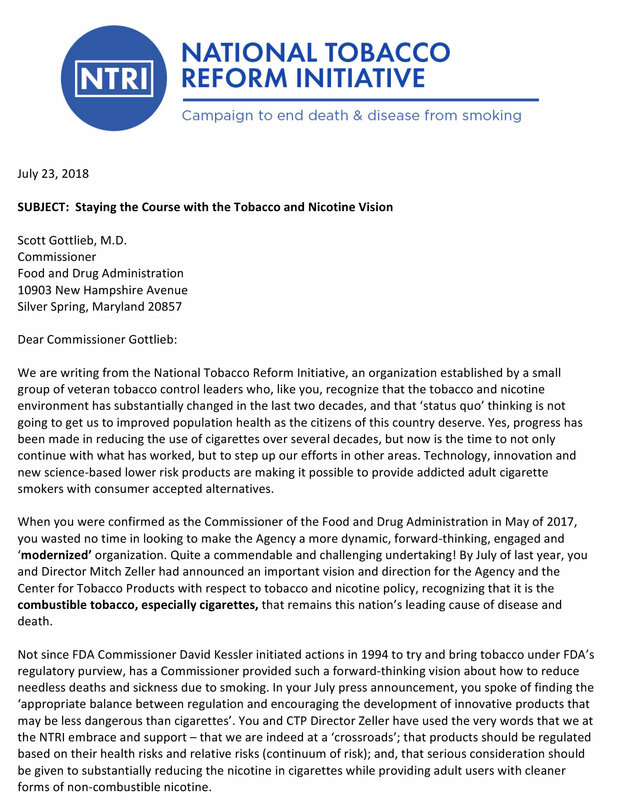 Toward that end, we call for action now to reignite the nation’s tobacco control efforts, and we urge the public sector to work with the private sector and the social sector in eliminating tobacco use in America at the earliest possible time. The mission of the National Tobacco Reform Initiative (NTRI) team is to facilitate open and evidence-based discussions about the most effective ways to reduce the number of current adult smokers in the U.S. by at least 15 million by the year 2024, an interagency-approved goal. Establish a more rational tobacco, nicotine and alternative products regulatory framework based on their relative risks, and that is adaptable to the increased speed of innovation in new technology development. These three (3) priority actions, which share a common objective of reducing the harm caused by combustible cigarettes, are intended to complement other tobacco control activities which are already being actively pursued. 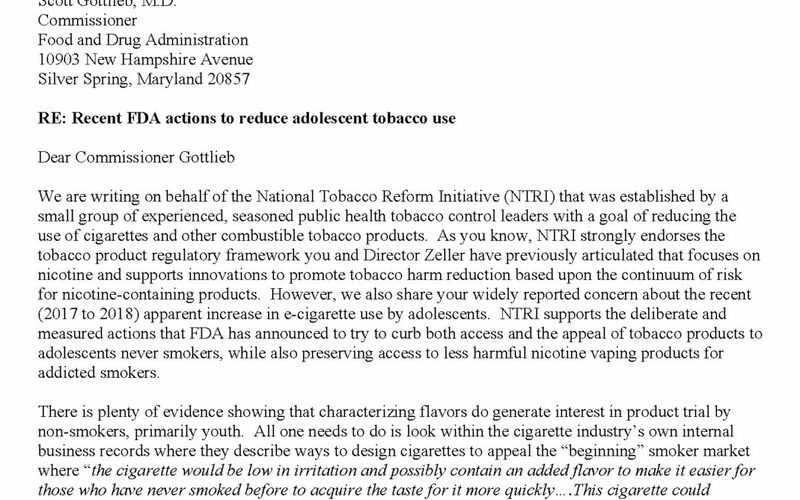 The NTRI team will look for opportunities to individually and collectively engage in and facilitate dialogue with others, including but not limited to, public health organizations, health care professionals, the research community, governmental agencies and policy makers at the federal, state and local levels, consumers, the media, and tobacco and nicotine product trade associations and manufacturers (where appropriate). The NTRI team will also identify, call attention to and help to resolve major barriers, program and outreach deficiencies, inhibiting progress toward the 2024 goal. Special Notice – Should you have questions or concerns about the above background information, want a copy of the Executive Summary Report on the recent study’s findings and recommendations, or wish to join the NTRI team in its important work, please contact us. Increase the federal excise ‘differential’ taxes on combustible cigarettes and cigarette taxes in those states with the lowest levels of taxation; Encourage health and life insurers, employers and health professionals to actively promote smoking cessation measures; and,The third priority, which is the one most directly relevant to FDA/CTP regulatory oversight over tobacco and nicotine products: Establish a more rational tobacco, nicotine and alternative products regulatory framework based on their relative risks, and that is adaptable to the increased speed of innovation and technology development. Three actions that need to be underpinned by lay and professional media advocacy for adult tobacco cessation. Increase excise taxes at the federal level and in many states with four (4) goals: lower smoking rates, harmonize taxes across state borders to reduce illicit trade, cover the costs of smoking-related disease, and encourage a shift from cigarettes to reduced-risk products and complete cessation. Encourage health and life insurers, employers, and health professionals to actively promote smoking cessation measures supported by the U.S. Preventive Services Task Force and the 2014 U.S. Surgeon General’s Report. 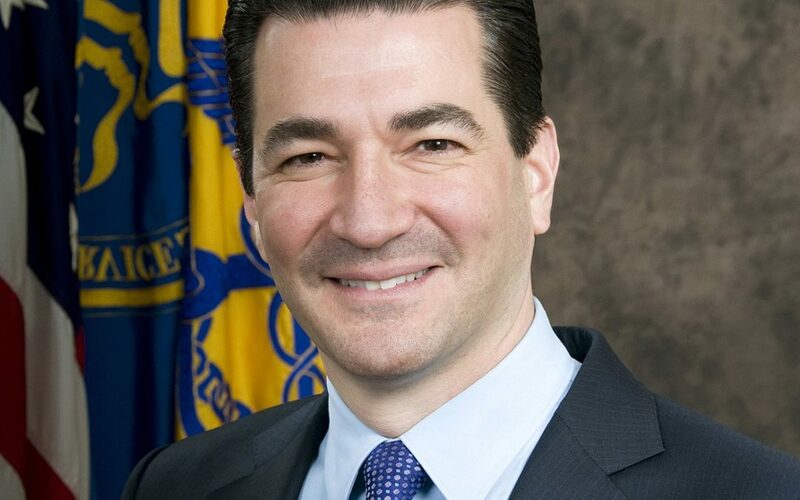 Establish a more rational tobacco, nicotine, and alternative products regulatory framework based on their relative risks, and that is adaptable to the increased speed of innovation in new technology development. 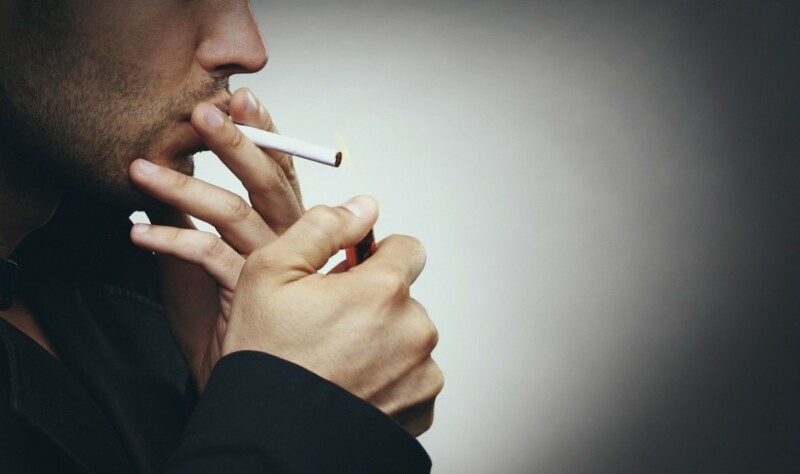 From 1964 to 2012, 20 million Americans died from diseases caused by cigarette smoking. Big tobacco has killed more Americans in a three year period than all deaths caused by America’s enemies, foreign and domestic, from the birth of the country to today. 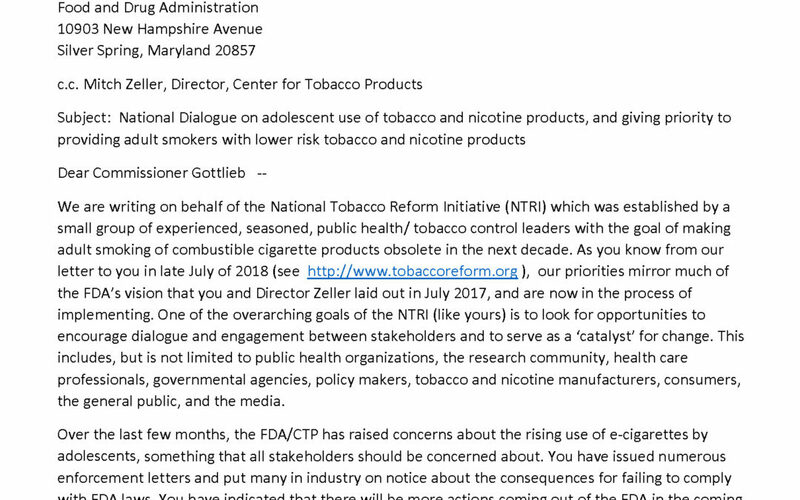 What are the goals and objectives of the NTRI and, in particular, those relevant to tobacco and nicotine product regulation? Establish a more rational tobacco, nicotine and alternative products regulatory framework based on their relative risks, and that is adaptable to the increased speed of innovation and technology development. 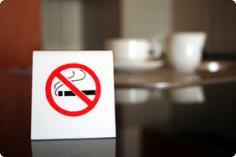 Tobacco leaders call for immediate action to curb smoking in the U.S.
Charles Aubrey (Mickey) LeMaistre, M.D. “Extraordinary” is the only word that adequately describes Mickey’s long career dedicated to improving the health of this nation. In 1962, at the age of 38, he was the youngest member appointed to serve on Surgeon General Luther Terry’s Advisory Committee on Smoking and Health that issued its landmark report linking cigarette smoking to lung cancer, heart and lung issues. Mickey was the last surviving member of the Advisory Committee. Mickey served as a Chancellor of the University of Texas System for seven years (1971-1978) where he directed a significant expansion of the UT System, including new medical schools in Houston and San Antonio, and new Universities in Dallas, Odessa and San Antonio before becoming President of MD Anderson Cancer Center. During 18 years as the second full-time President of MD Anderson, Mickey led the institution through the period of substantial growth in programs, personnel, facilities, private philanthropy and reputation. “The Executive Summary Report provides the three essential interventions that must be enhanced and given the highest priority if we are to accelerate the dramatic reduction in cigarette smoking in adults achieved over the last five decades. 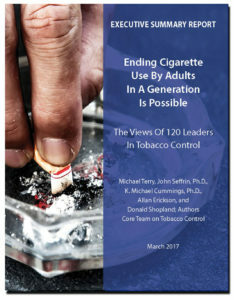 This landmark Report represents a consensus of the opinions of those who led the highly successful past efforts toward a society free from cigarettes”. Smoking control was an important and ongoing part of his life-long cancer prevention message. He chaired the National Conference on Smoking OR Health in 1981, the International Summit of Smoking Control Leaders in 1985, and he served as President of the American Cancer Society in 1987; he also chaired the Society’s National Committee on Tobacco and Cancer for two years. In recognition of his life-time commitment to cancer prevention and control, the ACS presented Dr. Charles LeMaistre with its highest tribute, the Medal of Honor.